Dontcha just LOVE vintage dresses from the 1950s and 1960s? Yesterday's vintage 60s dress was pastel springtime loveliness, so today I though I'd go something a little more office appropriate. This beautiful vintage wool dress is the perfect canvas. 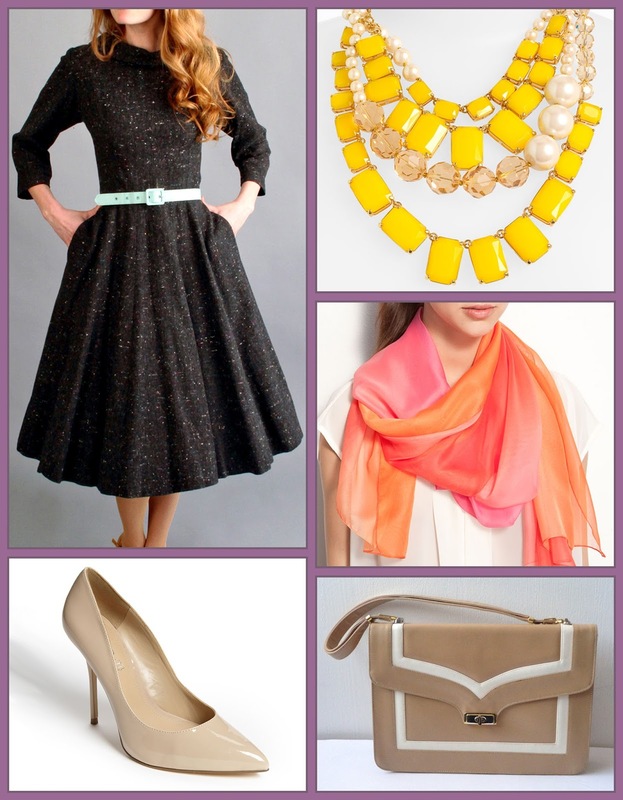 It's so simple and sweet you can really dress it up with bright accessories. The only picture of the scarf was round the neck, but if you really want to go for a vintage look, you'd loosely tie it around your fabulously quaffed hairdo! A "proper lady" in the early 60s would have NEVER worn her hair long and loose!